They provide comfort on all surfaces and therefore offer the protection of people, goods and material in many transporting and lifting tasks. The tyre’s benefits are good riding properties, good traction capability and effortless handling. 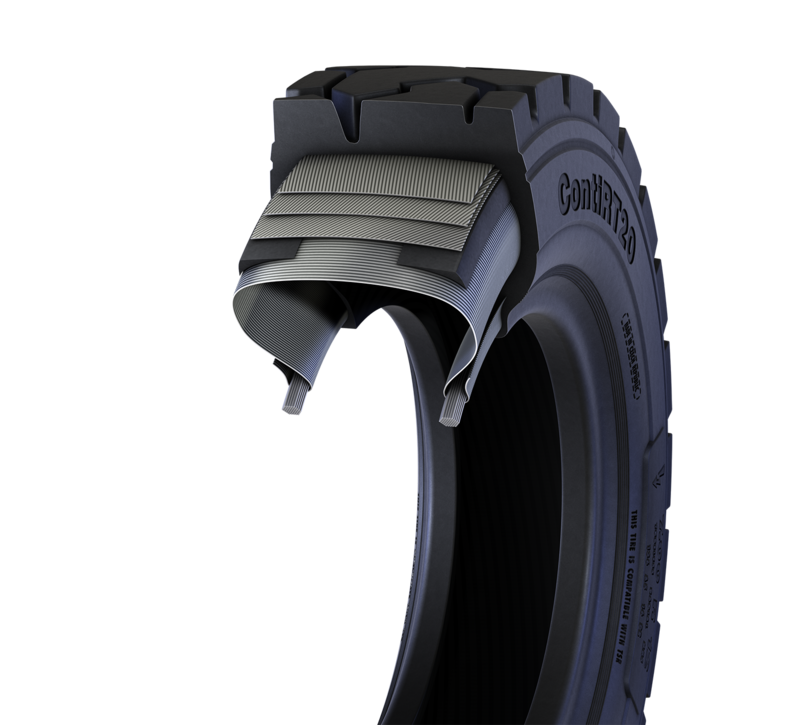 Continental’s Pneumatic tyres are typically recommended for forklift trucks, trailers for in-plant applications, industrial tractors, airport apron vehicles, and heavy load transport vehicles. A Radial tyre has a carcass of one or more layers out of fibers or steel which runs directly from bead to bead (radial). A Radial tyre has a carcass of one or more layers out of fibers or steel which runs directly from bead to bead (radial). The tread is stabilised by steel belts. Continental’s Pneumatic Radial tyres guarantee comfort because of their flexible sidewalls. With their low Rolling Resistance you will save energy. That’s why Radial tyres are best suitable for outdoor application and long runs. They are mainly used on forklift trucks, heavy-duty transport vehicles as well as indoor service trailers or platform trucks. A Crossply tyre has a carcass that consists of multiple layers of fabric. These fabrics run diagonally from one bead to the other. A Crossply (or Bias) tyre has a carcass that consists of multiple layers of fabric. These fabrics run diagonally from one bead to the other. The tread and sidewall of a Crossply tyre are coupled to form a single unit. All shock absorbing movements of the sidewall are transferred into the tread. The contact patch width varies in size and shape according to the ground surface. In conclusion Continental’s Pneumatic Crossply tyres are flexible, but have a very high damage resistance at the same time. 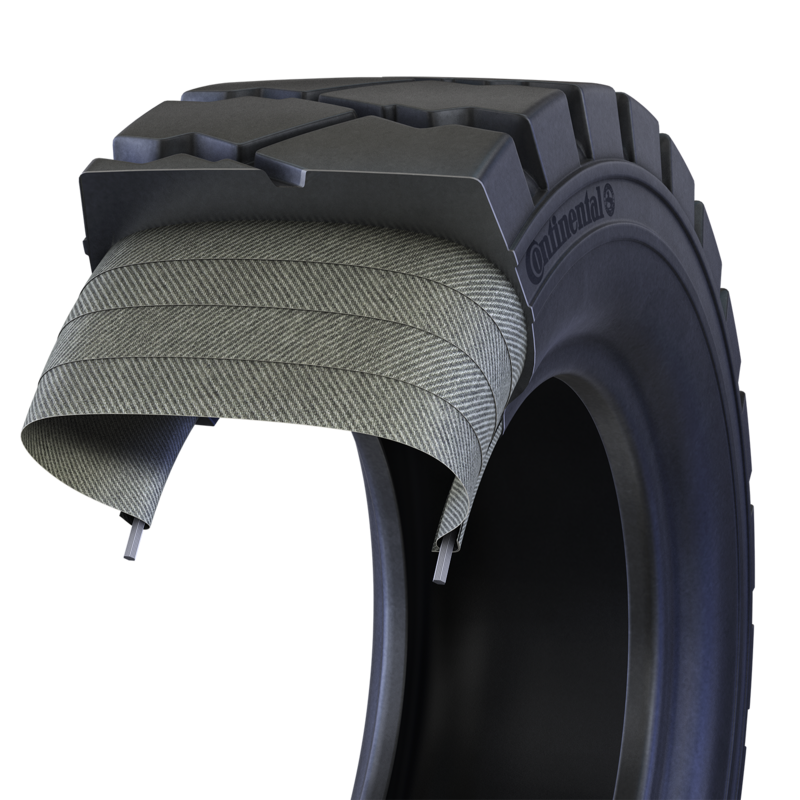 With these properties Crossply tyres fit best to industrial tractors, airport vehicles, and self-powered lift vehicles.